Jasper Johns was born in Georgia in 1930 and grew up in South Carolina. After moving to New York City to pursue a career as an artist, he found fame in the 1950s for his paintings of flags, targets or "things the mind already knows." Together with Robert Rauschenberg Rauschenberg and several Abstract Expressionist painters of the previous generation, Jackson Pollock, Willem de Kooning, and Barnett Newman, Johns is one of the most significant and influential American painters of the twentieth century. Over the course of his career, he has collaborated with an array of other artists, including choreographer Merce Cunningham. Johns, who also works in sculpture and printmaking, remains a leader in conceptual painting. 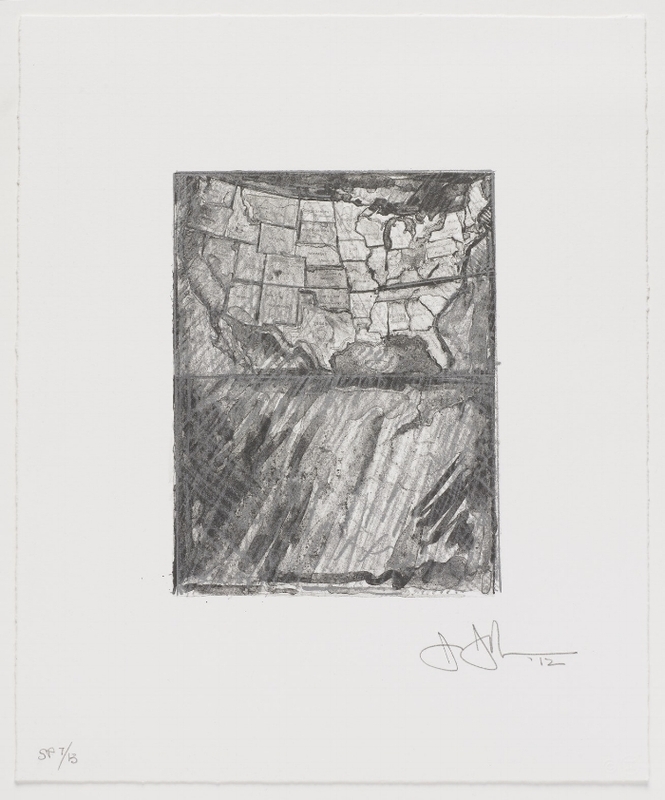 Becoming American will include Map (2012), an editioned work included in Artists for Obama 2012, a portfolio of limited edition prints by nineteen of America's most important and accomplished artists, created specifically to raise funds for President Obama's election to an all-important second term. Indicative of John’s life-long reserved, yet sharp approach to politics and American life, Map will be part of the exhibition's presence at the Barracks at the English Camp.